BBX now operates In 12 countries with 25,000 businesses globally! Camtu Pham is the new licensee/master franchisee for BBX NSW South Coast covering from South Sydney all the way to the border of Victoria as of 1st Nov 2018. “My business works with thousands of enterprises of all shapes and sizes from retail, hospitality, media, professional services, wholesaling, property development and beyond,” said Camtu Pham. “After 20 years in business and with a big network of contacts, I have now moved into customised business matchmaking. I even invite my competitors to collaborate to serve a bigger community and achieve mutual goals” added Camtu. While our members range from sole traders to public corporations with multi-million-dollar turnovers, our goals with BBX members are typically to gain more customers, increase sales and conserve CASH flow. 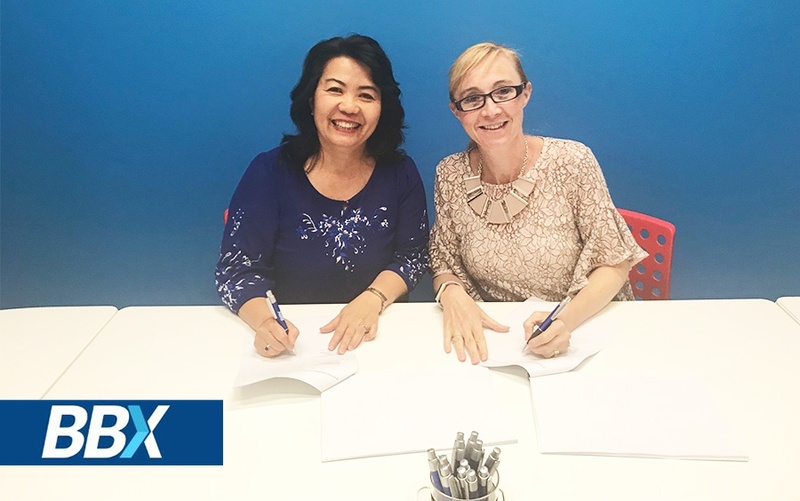 “I am excited to welcome Camtu Pham on board as our licensee and community manager for the BBX NSW South Coast. Camtu will bring energy and leadership to further expand our network and give local businesses better BBX experience., she will be a true asset to the BBX NSW South Coast Community.” Said Carolin MacDonald, BBX Australia CEO. Camtu is a business leader and has been a small business operator for over two decades. She has been a member of a trading platform for over 6 years and knows how this platform can assist businesses going through tough times such as through providing the interest-free lines of credit. Such access eases the financial burden for most businesses immediately. Regardless of its size or number of years in business, every company has some form of "unsold time", "slow-moving stock" or "unsold hotel rooms" or "empty seats at restaurants.” BBX can help to change this and help business to turn zero income into BBX credits. These trade credits can be used to improve the cash flow of the business or improve the lifestyle of the proprietors. BBX alternative currency is registered with the ATO and corporations are required to treat it as cash for GST and accounting purposes. What is BBX and how does the BBX Platform work? Business operators trade goods and services with other owners in exchange for BBX Trade Credits; they then use these BBX Trade Credits to pay for what they need. BBX acts as a third-party record keeper for a trusted digital credit known as the BBX Trade Credit. Its members use the trade credit to settle transactions on the platform. In doing so, it allows the value of each item traded to have its worth recorded and upheld in a BBX trade credit account. The key advantage to the business owner is that they can use the value with other members. In the network, such use assists them to manage cash flow and gain new clients. Why businesses (include non-profit organisations) should get involved? Surveys show 95 per cent of people want to make money for their organisations and themselves. And why not? But success doesn’t always come easy, and many entrepreneurs do lose their entire savings in their business due to poor cash flow, too much stock, and not enough customers. Business owners within the BBX Platform turn lost profits into new a stream of income. How to get started on BBX? To get you started on the BBX trading platform, there is a once-off membership fee, a transaction fee for every successful trade (means BBX only gets paid on a success basis) and a very small monthly fee to cover for admin, marketing support and debt reserve. If you would like to gain more customers, increase sales and/or conserve cashflow and would like to work BBX NSW South Coast, get in touch with us by emailing camtupham@bbxworld.com.au or +61 416253837. To learn how we operate and how you can be part of the global trading network, you can join our Facebook Group at https://www.facebook.com/groups/BBXNSWSouthCoast/. You can also join BBX online at www.bbxworld.com. Which countries does BBX operate? Countries of operation include Australia, New Zealand, England, Ireland, Scotland, Malaysia, Singapore, Costa Rica, South Korea and Thailand. Does BBX provide a customer-satisfaction guarantee? What is the GOAL of BBX NSW South Coast? Our goal is to work with over 200+ businesses within 3 years and create a strong a business network to support local enterprises and communities. We are also aiming to support local sport clubs, non-profit organisations and assist with their fundraising, and getting the equipment and support that they need. Who is leading BBX NSW South Coast? Camtu Pham is the licensee/master franchisee for BBX NSW South Coast as of 1st Nov 2018. Camtu will lead the BBX NSW South Coast as a Community Manager. Camtu Pham is an entrepreneur, international author and a leading e-business and marketing consultant. She is the owner and founder of CleverLINK and her role at CleverLINK will remain in foot in addition to her taking on the community manager/licensee of BBX. For Camtu with 20 years of experience in small and medium enterprises (‘SMEs’), and a large network, the role at BBX is a natural follow-on. Her leadership and enthusiasm will benefit BBX’s existing members and those yet to join. “I chose to partner with BBX because it is a well-established company with proven-track record in digital currency. The organisation is a perfect fit for what I do: helping businesses achieve more on the digital economy. Though BBX, I can now offer a much wider range of services to local businesses,” explained Camtu. Camtu has a Master of Commerce (specialising in Information System), Bachelor of Computing Science and a Diploma in Marketing. She was named Sydney Business Woman of Year in 2005. Camtu is an international speaker and the author of Aim High Fly Fast: How to Create a Wonderful World for Yourself and Others. The book is available in three languages: English, Vietnamese and Indonesian. if you include this email BBXNSWSouthCoast@groups.facebook.com in your proportion email, most recent content will be posted directly into the group.